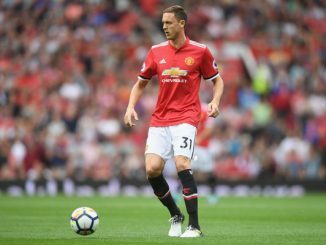 Manchester United have set their sights on adding a central midfielder as the team’s top priority following Michael Carrick’s retirement. However, the team is keen to add at least one defensive reinforcement as well. There is talk of (potentially) several defenders leaving the side sooner than later. 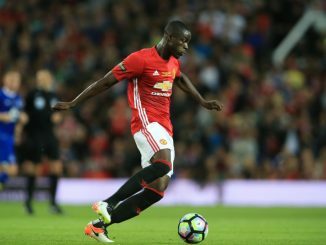 The likes of Daley Blind, Matteo Darmian and even Eric Bailly might all leave Old Trafford in the coming months. That would create quite a gap on defence when it comes to both quality and depth. Put it in another words: Manchester United need to target at least one defender during the upcoming transfer window. And while the team still needs to focus in the FA Cup final match against Chelsea this weekend, it wouldn’t hurt to see what’s out there. At the very least, The Red Devils can analyse whether there are players that could fit in well within Jose Mourinho’s system. And with that in mind, one alternative they might want to explore is to sign Toby Alderweireld. The Belgium international and Tottenham Hotspur star wants to leave the Spurs this summer, and has reportedly rejected all contract offers to sign an extension. In that regard, United have emerged as a potential destination. We might not know for sure whether the team is interested or not in signing him. However, the rumour mill is already operating. And several reports over the past few days have indicated that the Old Trafford side wants to acquire the Belgium star. And there is no question that Alderweireld would be an excellent signing for a team that is desperately looking to bolster their defensive depth over the next few months. Why Manchester United Should Sign Him? First of all, Alderweireld represents an upgrade over the current in-house options. He is better than Eric Bailly and Phil Jones, and clearly a better option than other potential centre-back choices such as Marcos Rojo, Chris Smalling, and Victor Lindelof. 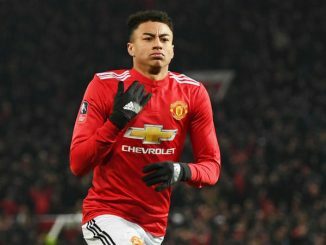 And while saying he is “better” might not be enough to entice fans, he possesses all the traits needed to become the ball-playing centre-back United have been missing since Rio Ferdinand left the side. The 29-year-old will enter his prime years as well, meaning he would (potentially) see out his best years in a United shirt. Another point in Alderweireld’s favour is the fact that he already knows what is like to play in the Premier League. Heralded as one of the top centre-backs in England, there is a reason why some of the best teams in the world want the Belgian star. Aside from the fact that he can play on both flanks with equal ease, he is a winner at the highest level. He became an integral part for both Spurs and Belgium over the past few years, and he would represent an immediate upgrade for the defensive line. …But is he worth the risk? Of course, there are red flags, too. He might demand huge wages, and could potentially disrupt the dressing room’s harmony. After all, his personal interests would be the main reason why he would left the Spurs in the first place. And the team does not need another player like that. But when he is focused on playing, there is no question that he represents a quality alternative to bolster the backline. We will get a clearer picture once the transfer window opens up in July. And of course, Alderweireld’s performances in the upcoming World Cup would give fans a better idea of what to expect off him. But at least on paper, he represents a decent alternative in case the team wants to bolster the defensive depth. And would become a key contributor for a side that has been lacking a true defensive leader for quite a while now. He is the best centre back in the country, every1 would want him but Spurs will not sell to another PL club. Transfer window opening in July? Does it not open this Thursday? A point many have missed purely because Alderweireld had a very good 2016/17 season in Spurs back line is this. If he was so great, why didn’t a more prominent club other than Athletico Madrid come in for him whilst he was at Ajax? Secondly, why did Athletico rarely play him and got rid of him to…wait for it, Southampton after a couple of seasons. No queues were forming outside St Mary’s for his signature. Alderweireld made his name at Spurs under Pochettino and the back four he moulded. Another point in question is this. What doesn’t he play in the heart of the Belgium back four. I’ll tell you why, they don’t consider him good enough that’s why. He plays as a right back for them because Jan Vertonghen and Vincent Kompany are better players. Spurs played the majority of the season without him in the side and still finished 3rd despite playing all their games away from White Hart Lane. Alderweireld is a good player but he won’t be missed should Spurs decide to sell him in my humble opinion and if they do, be rest assured that Daniel Levy will ring every penny out of the buying club.